To celebrate the beginning of another year, make a resolution to master a new crafting technique. For some easy ways to jazz up your paper crafting, check out the polymer clay ideas on AllFreePaperCrafts. No matter what your skill level, you might be surprised to learn how many polymer clay craft ideas are out there. Clay comes in a ton of different colors and styles, so it can be used for almost anything, like borders for homemade cards, frames for photos, embellishments for gifts, and more. Here’s a small sample of polymer clay ideas that I’m especially psyched about this year. Polymer clay embellishments make homemade cards pop. The only limit on these 3D accents is your imagination. Geometric shapes, flowers, and animals are just a few examples of polymer clay craft ideas. 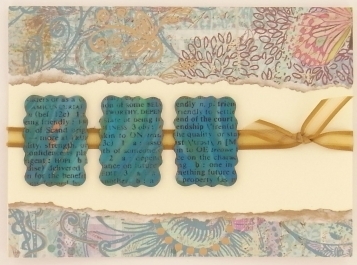 Take a look at this gorgeous Crinkle Cutter Clay Tile Card. You’ll have fun marbling the clay and cutting out tiles for this handmade card. Clay is a great imitator. Because it comes in so many colors and styles, you can mimic almost any material using clay. 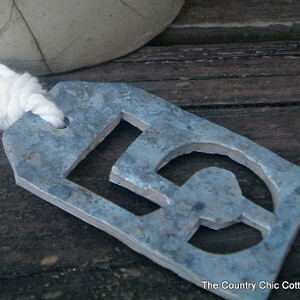 Take these Rustic Numbered Tags, for instance. They may look like they’re made out of metal, but they’re really a combination of clay, paper, and Mod Podge. 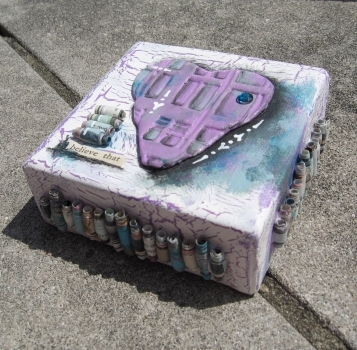 You can also keep those family treasures safe with one of our fun and functional polymer clay projects. Add paper and clay embellishments to this Family Secrets Recipe Box and Cards. It’s the perfect gift for the cook in your family. Don’t let the phrase “mixed media” scare you. After all, you’ve been playing with clay since kindergarten. Channel your inner grade school student with DIY wall décor projects that use paper and clay. House guests will be eager to know which brilliant artist created this Mixed Media Clay Canvas accent piece in your living room. Still Not Sold? 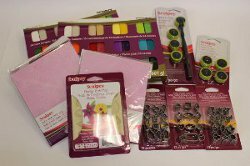 Enter to Win Free Polymer Clay and Craft Supplies! Check out our review of the Spectacular Polyform Embellishment Collection, which includes clay, texture wheels, molds, cutters, and much more. Enter our giveaway for the chance to win this fabulous product. When was the last time you crafted with clay?